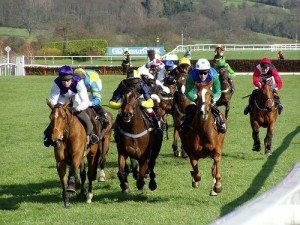 It might be some seven months or so until the runners go to post for the Cheltenham Gold Cup at Cheltenham Festival, but there are already plenty of opinions being expressed by betting firms as to which of the market principals they believe is most likely to carry off the coveted trophy in the 2011 renewal, writes Elliot Slater. Nigel Twiston-Davies’ defending champion Imperial Commander looked in trouble when unseating Paddy Brennan on his subsequent outing at Aintree in the Totesport Bowl, but is a real Cheltenham specialist and is sure to make a good go of retaining his title. You can find odds of just 7/2 about the nine-year-old winning the blue riband again. Dual Gold Cup winner Kauto Star was sent off odds-on favourite to land a third title but was already in serious trouble and struggling when he blundered and fell four from home. He wasn’t seen again on a racecourse after that effort but had earlier proved he is still a truly outstanding performer when landing his fourth King George VI Chase at Kempton on Boxing Day by an astounding 36 lengths from Madison du Berlais, having a month earlier beaten Imperial Commander by a nose in the Betfair Chase, in what was arguably the race of the season. If you’re thinking of having a horse racing bet, a couple of high-profile betting firms currently make Kauto Star their 4/1 favourite, whilst Paul Nicholls’ 10-year-old can be backed at 5/1 with a number of other well-known firms. Former Gold Cup winner Denman, runner-up to Imperial Commander last March, is available at 12/1 to regain his title, whilst outstanding staying hurdler Big Bucks can also be backed at 12s, although a final decision as to which discipline he will follow this coming season has yet to be taken. 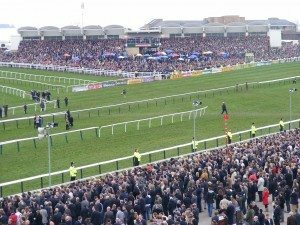 The Cheltenham Racing Festival is the biggest race in the National Hunt season, and has plenty of atmosphere especially as it falls over St Patrick’s Day. Team tactics offers the most varied selection of corporate entertainment facilities for corporate hospitality and corporate entertaining at Cheltenham Festival. Exciting news for Golf Fans & Southerners!